In the recent weeks, the EU and Russia have enacted economic sanctions against each other as a result of the Ukrainian crisis. The measures taken by Russia in response to European restrictions have directly affected Poland, one of the biggest apple suppliers in Europe, cutting it off the Russian market. Prominent Polish politician and the leader of the Democratic Left Alliance, Leszek Miller, told a RIA Novosti Leonid Sviridov correspondent in Warsaw what he thinks about the situation in the south-east of Ukraine, Polish policy towards Russia, Polish “hawks” and wise “owls”, Polish apples that now have to be throw away and the Ukrainian Right Sector movement. Mr. Miller! Polish officials have repeatedly hinted at for several months and now they speak straightforward about forthcoming Polish aggression against Russia. Don’t you think it’s absurd? Leszek Miller: Poland has more than those politicians and publicists who think that Russia threatens their country with aggression. Poland is a member state of EU and NATO. I can’t see any basis for such allegations. Do you know why a Polish representative did not attend the recent talks in Berlin on resolving the Ukrainian crisis? Leszek Miller: When Polish officials were told that Polish foreign minister Radoslaw Sikorski had not been invited for the diplomacy chiefs meeting in Berlin, I came to the conclusion that the reason was the situation with Polish eavesdropping and Sikorski’s comments about US. But now, who can be sure that Sikorski tells the truth and that he speaks what’s on his mind after that incident with Americans? However, the Polish foreign ministry spokesman quickly undermined my concerns. He explained that no one intended to offend or humiliate Poland and it’s simply a talk – between diplomacy chiefs of Germany, Ukraine, France and Russia. It has also emerged that Poland has not commented on the format of talks and the situation beyond Poland’s eastern border in Ukraine. I think it was the last chance for Poland and the current Polish government to seriously think about our policy. This is further evidence that the statements made by Polish officials, who are commenting on the dramatic conflict in the east of Ukraine, should be more modest and calm. I will say this: Warsaw should have fewer hawks, and more wise owls and starlings. We need to tone down anti-Russian rhetoric against Polish MEP [Minister of European Parliament] Jacek Saryusz-Wolski, coming from the ruling Civic Platform party and Prime Minister Donald Tusk, and we need more balance and understanding of the situation from Stanislaw Ciosek, Poland’s former ambassador to the USSR and Russia from 1989-1996. Leszek Miller: Warsaw naively believed it was a major player in this game, and obviously overestimated its own role in Ukraine, and now Warsaw looks grotesque in the eyes of the international community. It’s a pity that recent negotiations on the settlement of the Ukrainian crisis took place in Berlin, not Warsaw. Warsaw would be the ideal place for the dialogue, because Poland is the only EU member state that borders Russia and Ukraine. But in order to hold this kind of meeting in Warsaw, we should really be peacemakers and not party to the conflict. Unfortunately, persistent efforts by Poland’s right-wing party in Kiev, Maidan, led to Poland being ignored and pushed aside on an issue that is vitally important to it I would like to recall that Poland is not one of the parties involved in the Ukrainian conflict. Despite that the economic consequences for Poland are already destructive. Do you mean Russia’s embargo in response to EU’s sanctions? Leszek Miller: Yes, I have a feeling that Tusk’s government are being pressed down by hundreds of tons of Polish apples that are not allowed for export to Russia now. The pressed Tusk doesn’t know how to deal with this situation. Leszek Miller: It’s true. If a Polish politician or a publicist have an opinion different from the official one, he or she has a little chance to appear on TV or radio. The Russian threat and insisting on forcing a narrative of Russia’s inevitable attack on Poland has become a steady element of any political debate. All the more it is strange because it puts in doubt Poland’s membership in NATO. Mr. Miller, you personally know Ukraine very well. I think you know it even better than Russia. How can we stop the war? Leszek Miller: There are 8 million Russians living in Ukraine. Russia and Ukraine are fated to live together. Only Russians and Ukrainians themselves can agree and arrange their living. It’s needed to do everything to realize a ceasefire as soon as possible, because women and children are dying and horrifying crimes against civilians are being carried out. The south-east if Ukraine is on fire! People are losing everything they’ve built during their lives. There is no medicine, no water and no food. It’s a horrible humanitarian disaster. Actions are needed to stop this fratricidal war. Particularly Poland must help in reconciliation and provide humanitarian aid. I’m totally convinced that the only way to resolve this crisis is political. It’s impossible to resolve this conflict in a military way. Leszek Miller: Yes. I’ve been to Kiev and Donetsk. I remember a beautiful leafy city of Donetsk, where matches of UEFA European Championship were held in 2012. The current events in the eastern Ukraine seem impossible, unreal! There is one thing we shamefully “forget” about here in Europe. And it’s the internal situation in Ukraine. Kiev has formally elected officials – a parliament, a government, a prime minister, and a president. At the same time the leader of the most radical, nationalist, openly fascistic Right Sector movement, Dmytro Yarosh, is demanding the authorities release all of his imprisoned men within 48 hours and return their confiscated weapons, threatening to withdraw Right Sector battalions from the east of Ukraine and march on Kiev. One of these battalions has recruited right-wing nationalists from several European countries that deem the European Union the same enemy as Russia. Dmytro Yarosh did not have to wait for 48 hours, the Ukrainian government immediately solved the issue. Yarosh happily announced that “our brothers have been freed.” All of this means that it is not Right Sector that is afraid of the Ukrainian authorities, but the Kiev government that fears the Right Sector. It is depressing when the authorities yield in such situations. At the same time, the officials in Poland pretend they do not see this problem. Their main goal is to do harm to Russia by whatever means necessary. 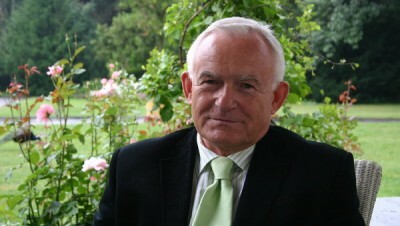 Leszek Miller is a well-known Polish politician, currently chairing the Democratic Left Alliance, and a member of Poland’s parliament in the 1st, 2nd, 3rd, 4th and 7th convocations. Miller was prime minister of Poland from 2001-2004. Hailing from a poor working-class background (born in 1946), he worked at flax mill, studied at technical school in his youth. The former prime minister did his military service in the navy on the ORP Bielik submarine. Miller was an activist in the Polish Socialist Youth Union and joined the Polish United Workers’ Party (PUWP) in 1969. He took part in the Round table where PUWP, labor-union “Solidarity” and church officials discussed issues of reforming Poland. On May 1, 2004, Miller’s government led Poland into the European Union. Polish weekly Wprost named Miller ‘Poland Man of the Year’ in 2001 and 2002.